Rose wood Tibetan Mala with 108 prayer beads. The mala beads are made of wood and red colored. There is always question of real rose-wood and just the name. 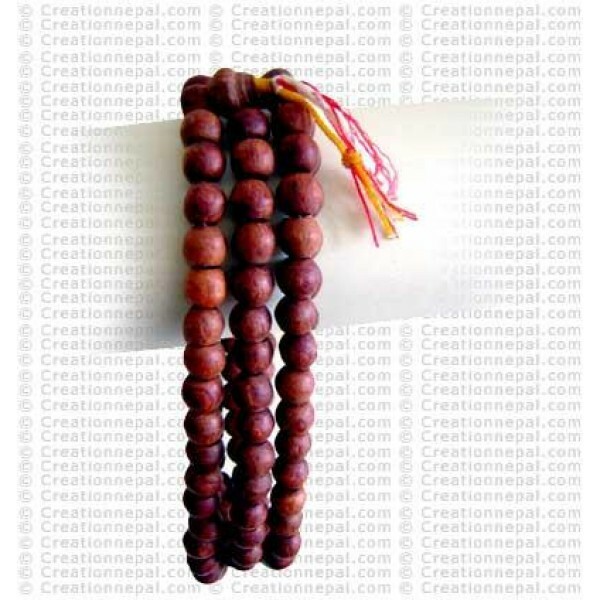 If you are really looking for rose wood mala; please check the availability with us. Since the product is entirely handmade; NO two are alike, hence there can be slight variation on given measurement and color.